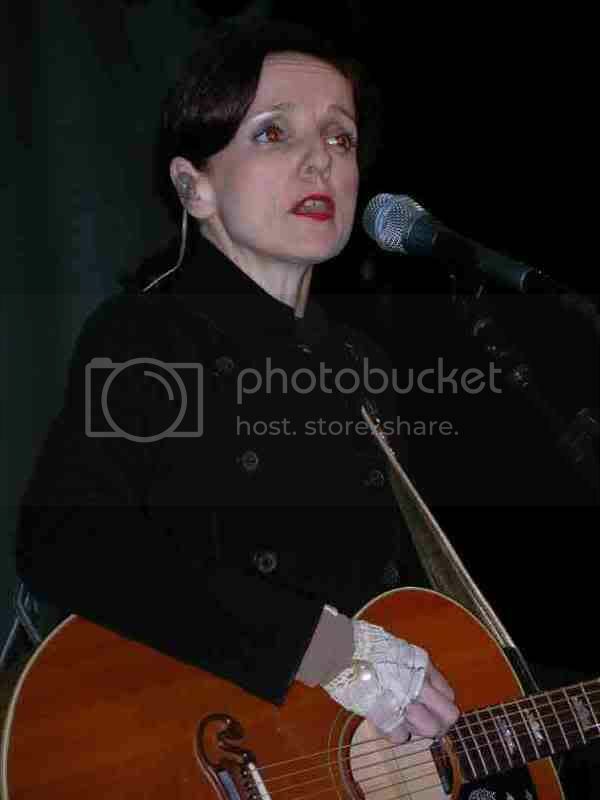 Time Does the Talking: Patty Griffin Discussion - Forgiveness - True Story? I've been a huge Patty fan for some time. This is my first post! "Forgiveness" is one of my favorite songs. Does anyone know if the song is based on a true story? Did Patty actually know or know of the two kids that drowned? I've heard all the urban legend about Phil Collins' song, "In The Air Tonight," about a friend who drowned without being saved, but I wondered if there might be some truth to Patty's song. It's so moving. I'd love to get some feedback from the other Patty fans out there. Thanks!! Re: Forgiveness - True Story? Why do you think it's about two kids who drowned? Forgiveness is one of my favorites, too, and I can't think of any lyric that translates into two kids drowning. I believe the story is a metaphor. To me, the people in the song have gone through something terrible and have made it through. They've perhaps been living a sinful or evil life ("we are swimming with the snakes"). They've realized it ("but we are not snakes") and changed their ways ("if we stay swimming here forever we will never be free"). In doing so, they forgive each other & themselves. Like all art, however, it's up to the interpreter to decide what the song means to them. One of my favorites. Raw and beautiful. Thanks for the replies! A friend of mine lives in the Northeast, and he told me about how the song was inspired by a story of two kids who got caught in a storm and drowned on the Great Lakes. He heard it from a friend of his that supposedly has some personal connection to Patty. I just wondered if anyone out there had any more information about the event and whether it was true or not. I just love the song, whether it's based in truth or not. Interpretation-wise, I have to agree with Redshoes. Had I not heard the drowning story, I would've come to the same conclusion myself. I understand why it was moved, but I didn't want to place this in the Interpretation forum originally because of the actual event that may or may not have taken place. If anybody comes up with an facts about this, please post them. I cross-posted this in the Mad Mission newsgroup for any Patty-peeps that are on that forum, as well. I'd just like to thank the moderators of this forum for giving all of us Redheads a place to gather!! You guys are great! For me it is about a girl being abused horribly during a very long time. Finaly escaping from the mental prison the abuse created. It's about dissociative fugue and the difficult process of healing. I cannot write any more. But it touches me like nothing else I ever heard. I've cried many days to this song. I just stumbled on this post while Googling info about "Forgiveness." I HEARD THE SAME STORY A FEW DAYS AGO! I can't believe I'm just now finding out about this after being a Redhead for many, many years. Did you know that the innocent children Patty references in the song were actually stowaways on the Edmund Fitzgerald? I thought it was incredible too. A friend of mine who is a Great Lakes historian knew all about it and told me the whole story. This really adds a whole new dimension to a truly beautiful song, doesn't it? Thanks for getting the word out there, and thanks for loving Patty and her art as much as I do. To me Forgiveness (it is so powerful and yet has that sober touch) is about something that blocks your way forward and in order to go forwards you have to see through the situation in a hard process and you forgive and are left if not with happiness at least with clarity. That said, the explanation with the SS Edmund Fitzgerald disaster is total news to me and I'll listen to the song again and try to find out whether I can hear that.